America’s #1 Facial Tissue from the brand you know and trust, now comes in a convenient six pack. 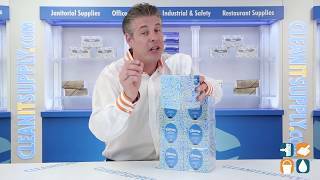 Kleenex tissues lead the industry in softness and strength. Features include an attractively patterned box and the trademark signal feature with colored tissues to indicate when the box is about to run out. Each Kleenex tissue box contains 95 premium tissues. Includes 6 boxes. Order Kleenex tissue boxes in bulk and save! Kleenex is a good brand and there are more per box than many other brands.